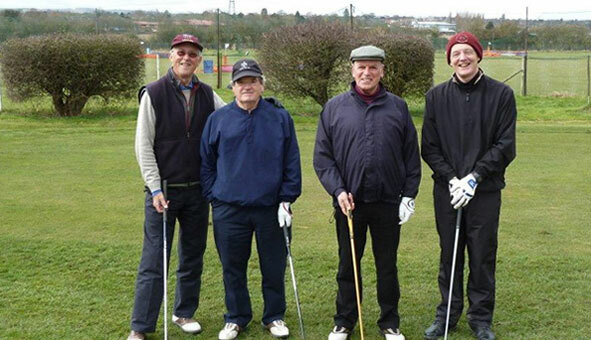 The Seniors at Hadden Hill Golf Club is for historical reasons run as a society. The HOGS (The Hadden Old Golfers Society) is a friendly Golf Society for men with an emphasis on fun which is open to Hadden Hill Seniors (aged 55 or over) Formed in 1994, the Society provides regular in-house Stableford, Matchplay and Society events throughout the year as well as a mixed bag of knockout competitions. These include 16 "qualifying competitions" which are used to evaluate our HOGS handicaps. Cards from these competitions are also entered as Hadden Hill competitions in order to maintain our Club (CONGU) handicaps. Between March and September we also enjoy 16 home and away 'friendly' 12-man matches using Club handicaps, against the Senior Golf Sections of eight of our neighbouring Clubs where the golf is free and you only pay for your lunch... Free golf at eight other Clubs, What an incentive! Each and every one of these matches is played in a happy and relaxed atmosphere where taking part and the banter is as important as winning. Come along and meet some really nice guys who will make you most welcome and who - showing no favouritism - will be happy to call you a 'Bandit' from your very first tee shot! If you are interested please contact our Secretary who will be happy to guide you through the 'initiation' procedure!